Apple manufacturing partner Foxconn will begin shipping Apple’s next-generation iPad within the next 100 days, allowing Apple to stock up for an April launch, a new report claims. That’s a little slice from a report today at Apple Insider. The key thing to note here is that shipments of iPad 2 are going to go to Apple by around the end of February if these reports are correct. That is not saying that the new iPad model would go on sale at that time – just that production would be in motion by then and Apple would be gathering stock, presumably to avoid the supply shortages we saw with the original iPad this year. 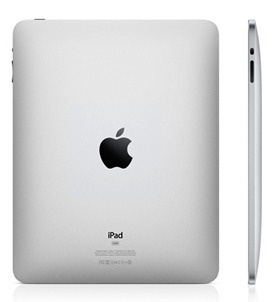 This makes a whole lot more sense to me than earlier reports that we would see the iPad 2 hit the market by February. After checks with Taiwan-based component makers, industry publication DigiTimes reported Tuesday that Foxconn is set to ship the iPad 2 by the end of February 2011, with initial shipments of 400,000-600,000 units. Tuesday’s report echoes an earlier report from the publication that claimed suppliers would ramp up shipments of iPad 2 components in the first quarter of 2011. For more details, see the full Apple Insider article HERE. Is it too early to start talking about the next iPad model? I’m hoping not, especially as I’ve already seen a few posts on this topic round the web. And we’re really not that far away now from when we would expect to see an announcement of the new model by Apple – i.e in January. I know lots of people will be hoping for huge, dramatic changes to the magical tablet, but I’m more than happy with what the iPad is right now, and will be quite content if we see only incremental changes and enhancements in the iPad Dos – and I’d be fine if they want to go with that as the name as well. — I would prefer no major size changes for this second generation – so cases, stands etc still work with new one. 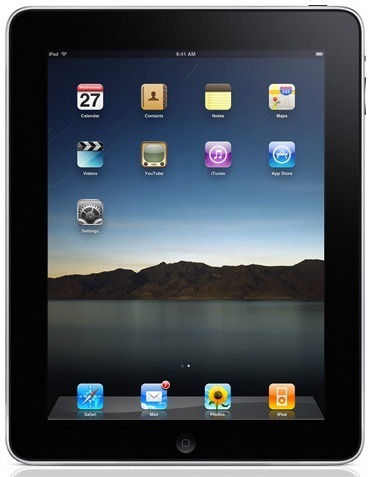 Reports this week suggest that iPad 2 will have two cameras – a 5MP main camera and also a VGA camera, making it ready to offer FaceTime support. Oh, and a faster processor too. This at least is what’s being claimed by investment firm Detweiler Fenton in a note revealed by Barron’s. 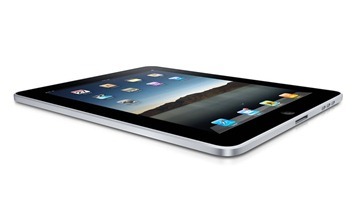 Thenext generation iPad will also host a faster processor. Existing iPhone camera supplier, Omnivision, will be supplying image sensors fo the iPad, which will boast two cameras, a 5MP main camera and a VGA camera. This makes it pretty likely it will also support FaceTime video chat. Sounds good to me. I’d also like to see more RAM in the next iPad. Much more – like an upgrade from its meager 256MB to at least 512MB and hopefully to 1GB. Wonder how Apple will manage adding components while also (presumably/hopefully) maintaining awesome battery life. Apple’s overseas touch panel and reinforced glass suppliers are said to be preparing for the launch of Apple’s second-generation iPad in the first quarter of 2011. According to Taiwanese industry publication DigiTimes, the suppliers are completing validation for the second-generation iPad, which will maintain the same 9.7-inch screen when it debuts in the first quarter of 2011. "Component suppliers of iPad are expected to start shipments for the second-generation iPad at the beginning of 2011," the report said. Well there’s a rumor you’ve gotta love if you’re an iPad fan (unless you bought one yesterday I guess). I think it’s very obvious by now that a new model will have cameras and FaceTime. Hopefully we’ll also see a boost to 512MB of RAM at least and some other incremental improvements. Sign me up for pre-order / launch day pickup whenever the next model comes along.